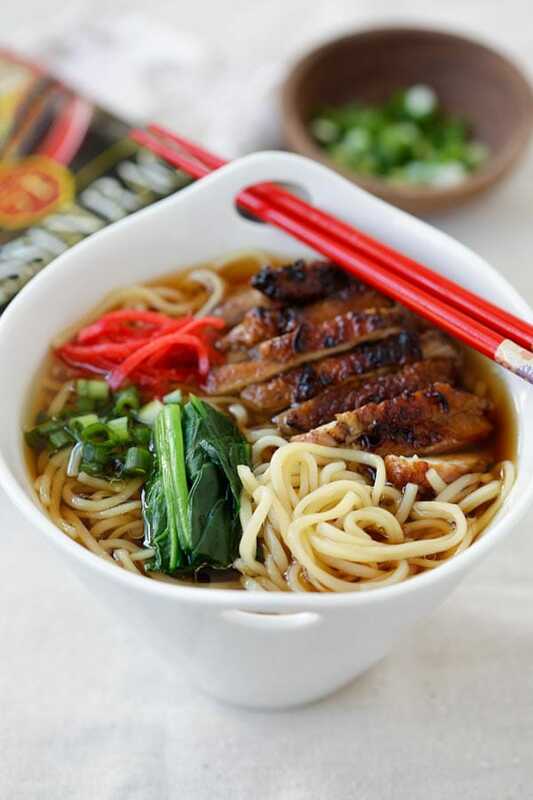 Lemongrass Chicken Soy Sauce Ramen - Spice up your instant ramen at home with this easy, simple recipe with Nissin RAOH ramen. So quick and good. When it’s cold, nothing keeps me warm like a steaming hot bowl of ramen. Born and raised in a tropical island, I have always dreaded cold weather but the fuzzy warm feeling I get from a bowl of ramen makes fall/winter bearable for me. 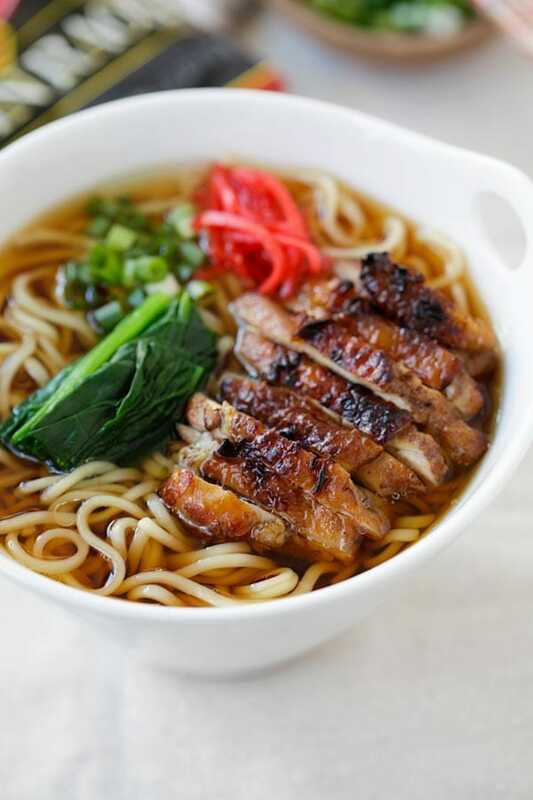 Ramen is my comfort and happy food in the cold weather. Nissin RAOH has made it so easy for me to enjoy homemade but restaurant-quality ramen this season. 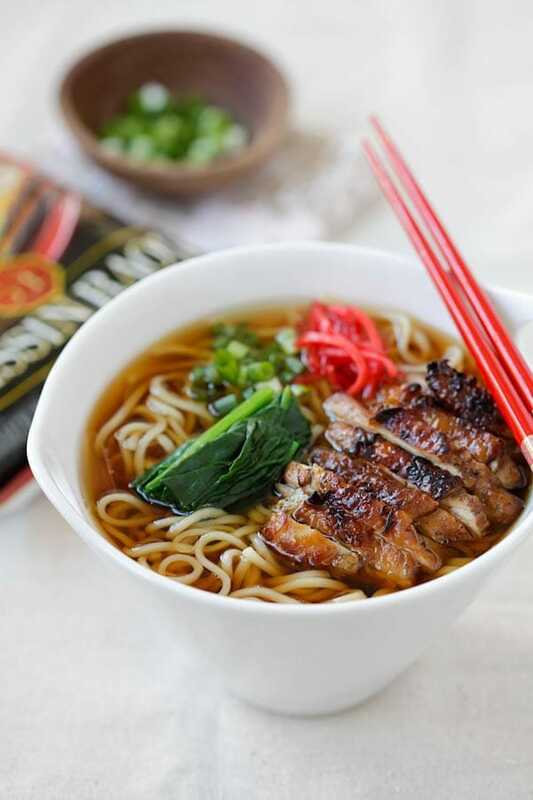 I have tried Umami Miso and Umami Tonkotsu flavors; in this post, I am going to tell you more about Nissin RAOH Umami Soy Sauce Ramen, which hits all the right notes in my palate with its light and flavorful soup base. 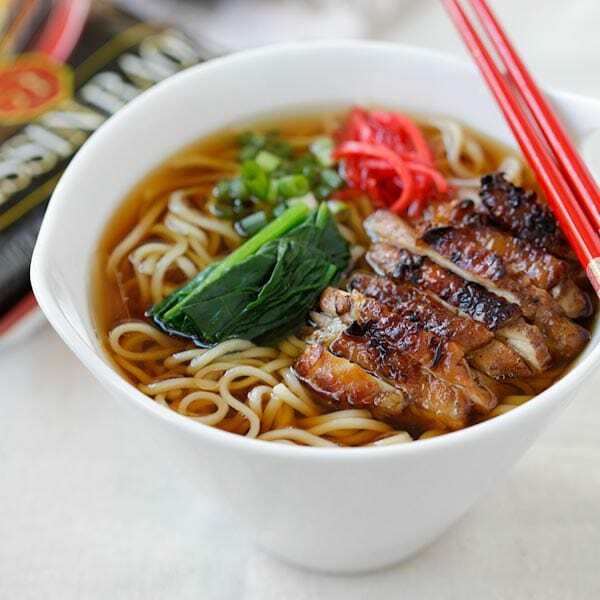 I love the simple, aromatic and clear soup of the Soy Sauce flavor. To enhance its classic taste, I made my favorite lemongrass chicken as the topping. 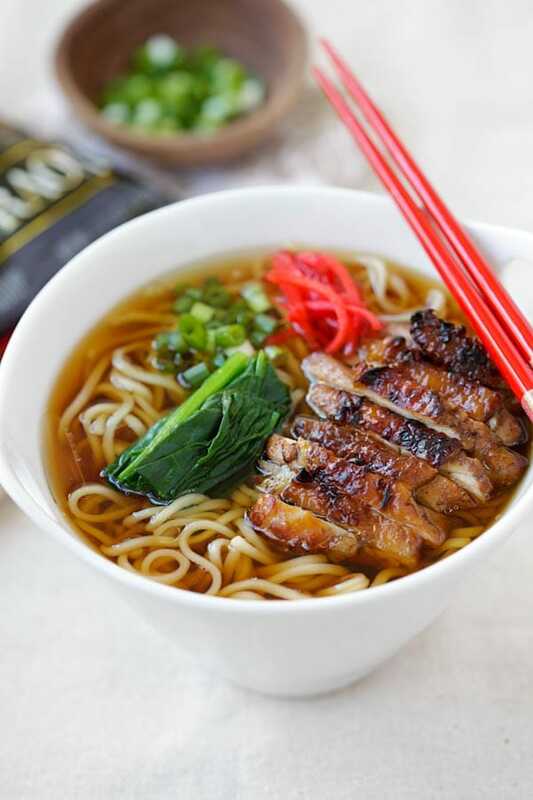 The lemongrass-infused and juicy chicken pairs perfectly well with Nissin RAOH Umami Soy Sauce ramen, making it one of the most satisfying quick meals I’ve made at home. Let’s go buy the single packs now or in bulk here on Amazon. This conversation is sponsored by Nissin. The opinions and text are all mine. 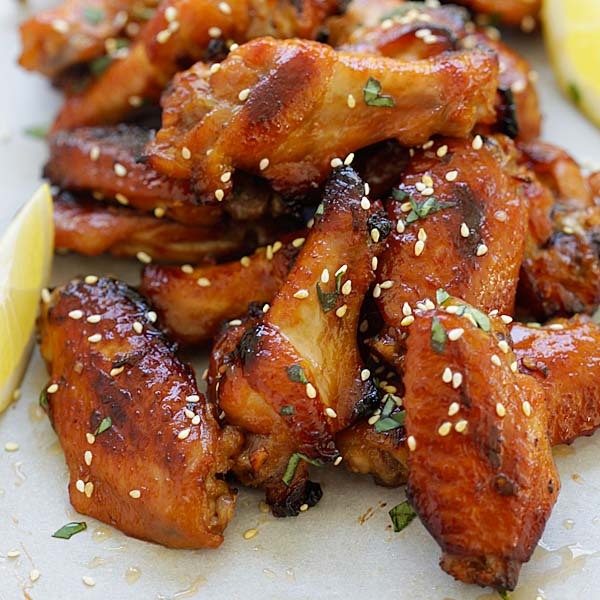 Marinate the chicken with the lemongrass, salt, honey and cayenne pepper. 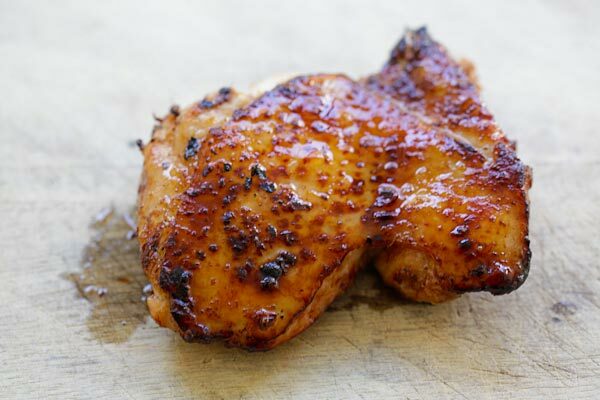 Heat up a skillet with a little bit of oil, pan-fry the chicken until cooked and nicely browned. 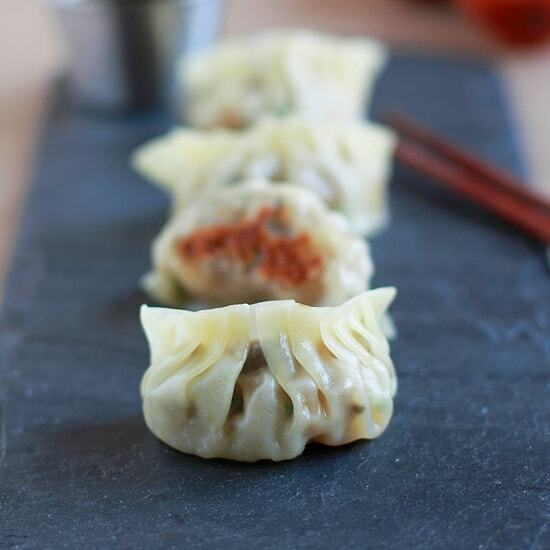 Remove from the skillet and slice into pieces, set aside. To make each bowl of ramen, boil two cups of water in the same pot. Add the noodles and cook for 4 minutes or until al dente. 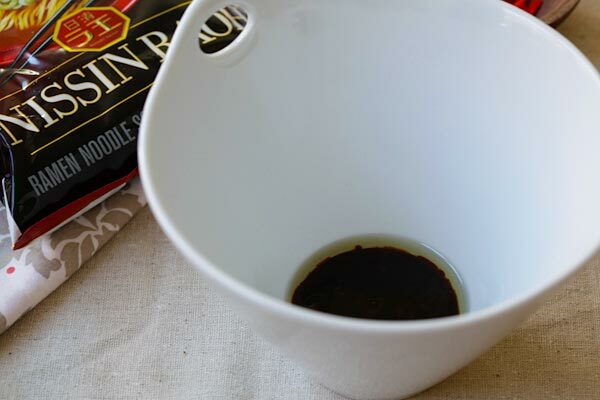 Meanwhile, empty the flavor pouch of Nissin RAOH Umami Soy Sauce in a serving bowl. Remove the noodles from heat and pour the water into the bowl first and mix well with a pair of chopsticks. Add the noodles into the bowl and mix again. Add the lemograss chicken, spinach, scallion and pickled ginger (if using) as the toppings. Serve immediately. Repeat the steps above to make the second serving. I prefer my chicken boneless but skin-on. You might use skinless and boneless chicken breast or thigh. 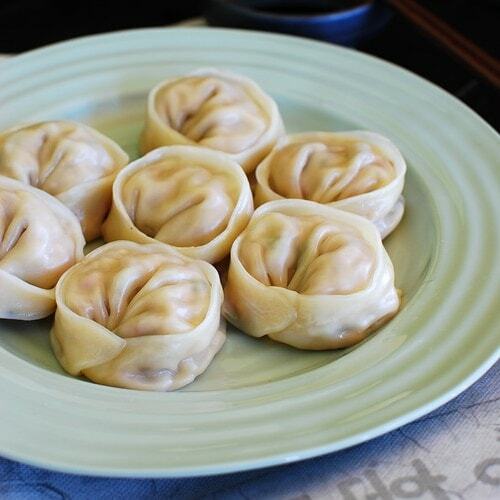 This is a must-do recipe!!! BTW where can I buy this nissin raoh? Hi Anna, I clicked on this recipe from one of your current emails. However, the free sample offer is no longer valid- perhaps you’d like to note that on this page? Please stop promoting Nissin noodles, their salt content is off the wall. This post was a couple of years ago. Trying my luck with the Nissan Ramen.